Please use this form to provide us your details. (items marked with red are required items. You will have the option of submitting details of your family members in the next step. You can also download this form (in Word format) and email it us. or print it out and mail it to the address on the form. 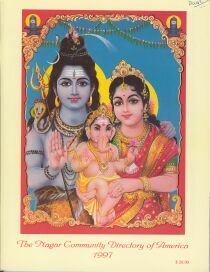 The information you provide will be used to create the NAGAR directory. Your address, phone number and email address will be included in the directory. Please do not submit someone else's information without their consent. Also please ensure that they know that their details will be published in the member directory. Use this form to submit the primary member's information. You will be able to submit details of other family members - spouse, children - after you submit this form. First name: <-- Enter only the primary member's information in this form. You will be able to submit details of other family members - spouse and children - after you submit this form. Note: If you don't see your state/region/province in the above list, type it in the box below. 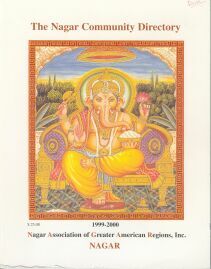 The directory contains a comprehensive list of all Nagars in North America. 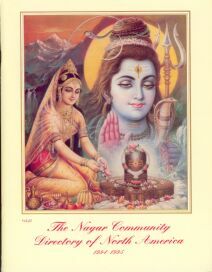 The newsletter is the best way to keep up with the happenings with the various Nagar communities across North America. Exclusive access to 'members-only' services on this web-site. 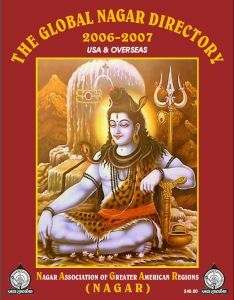 By submitting this form I release permission to Nagar Association of Greater American Regions to publish the above information in a directory in any form. The Nagar Association of Greater American Regions ensures you that it will not sell any information or the database to any organization or business for any business purposes.